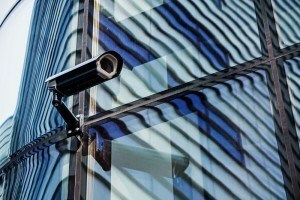 Commercial Security Systems| Intruder Detection Systems Inc.
For Commercial Security Systems, IDS provides a robust offering of electronic security systems and code compliant life safety fire alarm systems, which can help electronically protect both the perimeter, interior, and exterior of the premises and your employees. From perimeter and object detection systems, to dual technology and laser motion detection, biometric access control, Digital IP CCTV Video Surveillance Systems, Frequency Hopping Spread Spectrum Encrypted 900 MHz Supervised Wireless Cameras that can be remotely monitored by our State-of-the-Art 365 Day-24 Hour UL and FM Listed Central Station, to Supervised Openings and Closing Monitoring and one or two-way wireless radio backup systems to help protect against phone lines attacks by the criminal element, we make sure that our systems address your risks and vulnerabilities. All systems are Custom Designed by Nationally Recognized Alarm and Security Expert and Company President Jeffrey D. Zwirn, CPP, CFPS, CFE, FACFEI, CHS-IV, SET, CCI, MBAT. Mr. Zwirn is also an 18 Year Active Designated Expert Instructor to the New York City Police Department [NYPD].